Are you looking for a fun Easter Camp for your child aged 6 to 12 years? 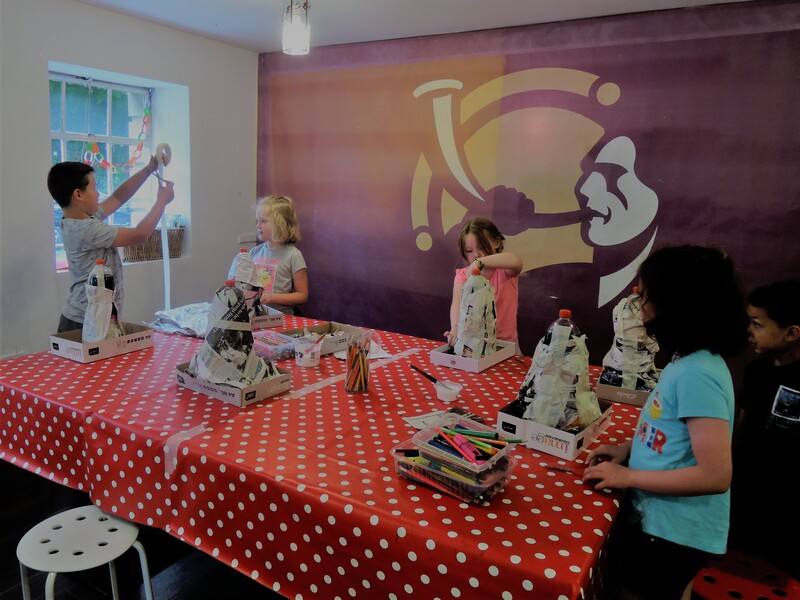 We have been running Arts and Crafts Camps with a focus on history for the past few years with many return visitors! Our experienced, garda-vetted facilitators deliver a mix of activities designed to keep your child entertained from start to finish. Activities include arts and crafts, games, competitions, storytelling, visiting the Museum galleries, hands-on workshops and trips to the Town Park. Camps take place in our bright and child-friendly Education Room, the adult – child ratio is 1 to 8 with group sizes of only 16 children in total. Running daily 9am to 3pm and a cost of only €20 per day, we specialise in high-quality creative activities. Your child does not have to be interested in history or archaeology but we can guarantee they will be having lots of fun and learn quite a bit along the way without even knowing!